In this article, from the Irish Times on 26th May, well done to Jerry Grogan! As principal of Donaghmede’s Holy Trinity Senior National School, he made a critical decision that growing a kitchen garden was the best way for his students to learn the skills of growing and harvesting food. “As a teacher, I was noticing that more and more of the children I was meeting had no connection with nature – nothing at all. Instead, they were spending most of their time indoors. It was quite shocking,” he explains. You don't need to be a teacher to have noticed this. Children are spending more and more time indoors, and the reasons for this are numerable. From simply the weather to real concerns for the safety and welfare of our children, we have a tendency to keep them 'safe' by keeping them indoors. The effects on their health, well-being and understanding of the world are becoming more and more evident. 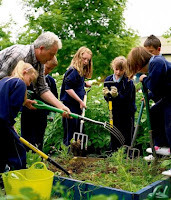 Most children have such a disconnection with the natural world, they have little understanding of where their food actually comes from. 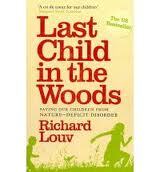 Also mentioned in this article is the book 'Last Child In The Woods' by Richard Louv. I would encourage parents and anyone who works with children to read this book. In it he has coined a phrase; 'nature deficit disorder.' And while this has not been 'legitimized by the medical community, there is substantial evidence to suggest that 'nature deficit disorder' is a prevalent factor. Louv feels that it is a factor in leading to such disorders as ADHD, and other childhood syndromes that make the lives of our children more and more complicated. If we add to this the fact that, here in Ireland, we are the first generation that does not grow any of our own food, and doesn't even really know how, I applaud the efforts of teachers like Jerry Grogan, and the numerous other schools that are making real and very successful efforts to bring children back to an understanding of the natural world in the most logical and practical way.... get them to grow a garden. Well done! Jack Henderson is one of life's good guys. This little boy has his own website and for a donation, he'll draw anything you want. All the money he raises from this goes to help the 'Sick Kids Friends Foundation'. Jack has a little brother, Noah. Noah has spent much of his young life in and out of hospital; the Sick Kids Hospital in Edinburgh. Jack began to draw to raise money to help the hospital in order to help pay them back for all the care and concern they have shown to Noah and his family... and the other sick children they care for. Here are Jack's own words. He says it better himself. "I am doing this because my little brother Noah goes to Hospital lots and the name of it is Sick Kids Hospital in Edinburgh. I am going to give my money to Sick Kids Friends Foundation. I want to give them £100 £500 £1,000 £10,000 £15,000 £20,000 cause they looked after me, Toby & especially Noah. He can't breathe very well sometimes. Everytime he goes in I think he is going to die. I have over 500 drawings to do. PLEASE can you give me some donation money. Thank you." Right now, Jack can no longer accept requests, due to popular demand. But he is still working, drawing more and more pictures in order to raise these much needed funds. What a hero! 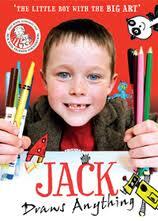 Hodder Children's Books is due to publish a book of Jack's artwork on 6th October 2011. The title is 'Jack Draws Anything: The Little Boy With The Big Art'. With the final film in the Harry Potter series about to hit the big screen this summer, TF (Total Film) has drawn up a list of 30 books that could be possibilities for taking the boy wizards crown (in terms of box office draw?) Among the list, we can find Artemis Fowl, Skulduggery Pleasant, the Chaos Walking trilogy, Mortal Engines, Tunnels the Cherub series, the Mortal Instruments series, The Spooks Apprentice, A Wrinkle In Time,... and my personal favourite... Redwall! There are also some quite, umm, unusual offerings here. All of this is of course pure speculation, but it is interesting. See what you think. Anyone have any additions or deletions from your own list? Inis Magazine... It's Review Tuesday! 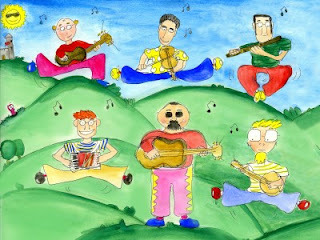 On Inis Magazine's new online magazine, it's Review Tuesday, which brightens my Tuesday all together. Take some time to go online and check out a whole bunch of new children's books reviews (and old ones, too!) written by all kinds of enthusiastic children's books folk (including me). For the Guardian Children's Books section comes this wonderful slide presentation of Oliver Jeffers work from his picture books. Oliver Jeffers is a firm favourite of mine, but be prepared, all you fans; this doesn't include works frompersonal favouries, Lost and Found, Up and Down... or his recent The Heart in the Bottle. The Heart in the Bottle is a moving and exquisitely drawn must for anyone who has suffered a loss... and the personal consequences it brings. It's gentle and beautiful message is one for all ages. Well, okay, it wasn't just any children's book. It was a first edition of 'Legends of Hawaii' written by Padraic Colum in 1926(?)... and it wasn't really for President Obama, but for his daughters, Malia and Sasha. Now isn't that such a wonderful gift, and a beautiful gesture that the children were remembered during all the excitement. Well, wasn't it just a brilliant weekend at the National Library for the CBI Annual Conference! Two full days full of great speakers, wonderful authors, children's books and... well, quite frankly, a good bit of nonsense that serve to inspire us all and charge our batteries for another year. It was truly a gift to see Helen Oxenbury and John Burningham, and hear the talk about their collaborative book, There's Going To Be A Baby. Four great picture book author/illustrators gave us a brief tour of their favourite inspirations. Four new and exciting children's books authors talked about.. well, children's books and what drives them onward. Karen Bertram surprised us all with the library innovations in the Holland.... I could go on and on, and I certainly don't want to slight anyone... but I'd have to re-enact the whole conference. I'm only home one day, and I can't wait to go back. Also, I need to let you all know that the brand new and incredibly flash Inis Magazine is out now. Inis will now be publish (in print... hard copy) twice a year, but there's a new online magazine that keeps us all up to date. 'Hedgehogs Do Not Like Heights' Launch... Splendid! Just wanted to share a few photos from the launch of Patricia Forde's new book, 'Hedgehogs Do Not Like Heights'. It was a brilliant morning, as we were joined by a rather large crowd of students from Scoil Ide. Trish told a few stories from her previous books, read 'Hedgehogs...', conducted a 'Tooth Fairy School' (I personally learned much about proper Tooth Fairy conduct and behaviour... oh the rules!!!) and wrapped it all up by reading 'Frogs Do Not Like Dragons', for old time sake. It was absolutely splendid! 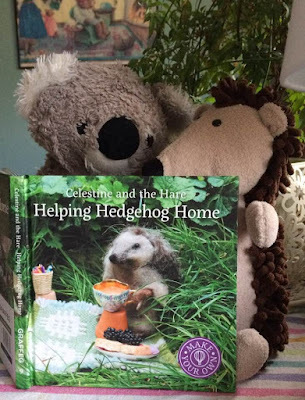 Patricia Forde will be launching her newest book for young children, 'Hedgehogs Do Not Like Heights', at Dubray Books, Galway on this Wednesday, 18th May at 11:00 am. 'Hedgehogs...' is the second in her Lola series. The first 'Frogs Do Not Like Dragons' was a huge hit with children (and me!) and was published in March 2010. These books chronicle the adventures of young Lola, who finds herself in the most awkward situations that she has difficulty getting out of due to the actions of other creatures around her. While her parents, the fire brigade, etc are rather convinced that it must all be in Lola's imagination, the evidence left behind after the events seem to point to it all being true. The books are narrated by Lola's older sister, Natalie. And they are both an absolute delight. The vibrant illustrations by Joelle Dreidemy perfectly illuminate the story. Patricia will be joined by the 1st class children and teachers from Scoil Ide. Also published by Patricia earlier this year was 'Citi Cearc'. The winners of the 21st Bisto Children's Book of the Year 2011 Awards have been announced today, and huge congratulations go to Chris Haughton. For his book, A Bit Lost, Chris received the overall Book of the Year award, which comes with a prize of €10,000. Chris also received the Eilis Dillon Award with a prize of €3000. The Eilis Dillon Award is given to a first time author or illustrator. This is the first time that both of these awards have been given to the same person! My absolute favourite of the awards given is the Children's Choice Award, which is chosen by children involved in the Bisto Shadowing Scheme all over Ireland. This year, the Children's Choice Award went to Taking Flight by Sheena Wilkinson. The link below gives details of all the nominees and further details of the awards given. Congratulations Chris and all the winners and nominees! Many, many thanks to the Speks for bringing their talent, enthusiasm and brilliant entertainment to a bookshop that was packed with children (and their parents). The cast and crew of Dubray Books, Galway sends you our sincerest and happiest gratitude. You certainly brightened our rather dreary Saturday.You guys were great... look for the photo evidence shortly. If anyone out their has not yet seen the Speks, the next time they row out from Glasses Island, you've got to catch the show! 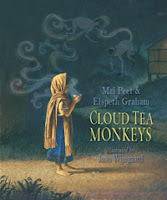 The shortlists are now out for the prestigious Kate Greenaway Medal and the CILIP Carnegie Medal 2011. The Carnegie/Greenaway Awards also run a Shadowing Scheme for children. The link below will give you the information on the scheme. 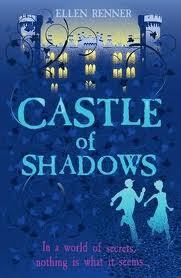 From those splendid folks at Seven Stories, the Centre for Children's Books, in Newcastle upon Tyne; came the news that Ellen Jenner has won the North East Children's Book Award tonight at the Centre fro Life for her marvellous book 'Castle of Shadows'. The runners up were Ali Sparkes and Andrew Lane. And, just a brief reminder.... in just a few short days, The Speks will be giving a FREE 35 minute concert at Dubray Books, Galway (4 Shop Street). 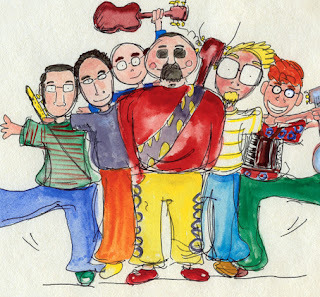 Saturday, 14th May is the date, the time is 3pm and the Speks will be performing their wonderful versions of nursery rhymes and sing-a-long (and dance-a-long) songs for children, all set to Irish traditional music. The Speks are a six-man acoustic music band for children, and while their music is aimed at ages 6 years and under, it's fantastic fun for the entire family. This is a performance NOT to be missed! See you there! Our good friend and colleague, and excellent book reviewer, Kim Harte was on Ireland AM discussing the ten shortlisted nominees for the 2011 Bisto Award. The winners will be announced in a ceremony at the National Library of Ireland on Monday, 16th May. Below, you'll find the link to watch the podcast of Kim on Ireland AM with her wonderful insights into this year's selection. Enjoy! 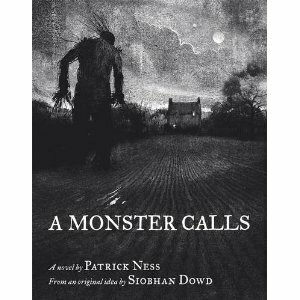 Just out now.... A Monster Calls by Patrick Ness is based on an idea left behind by the late Siobhan Dowd. Ness said he felt as if he'd been given a baton and told to run with it, and run he did. 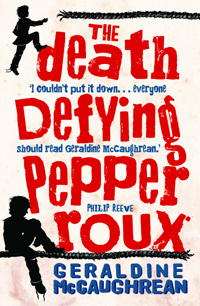 This novel is absolutely beautiful. It's frightening, uplifting, gripping and strangely comforting. The one thing Ness said he didn't want to do was to try and copy Dowd's voice; that would do her a great disservice and the book a great disservice. What his efforts have produced is incredible. Those of you who have read Dowd's work will be able to recognise her voice within it, but it also reads a great deal like Ness' voice in the highly successful 'Chaos Walking' series... and then again, it sounds like neither one. 'A Monster Calls' combines the voices of Dowd and Ness, and then seemingly absorbs/discards them to create unique, strange and beautiful voice of it's own. It is rare that such a perfect novel comes along. Truly moving and stunning! It is after midnight when the Monster calls. Night after night since his mother started her treatments, Conor has had the same reoccurring nightmare, and now, a monster has come to tell him stories. 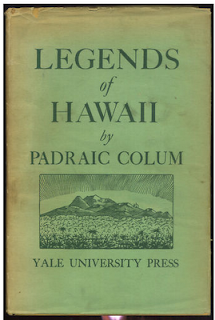 Not a monster from Conor's nightmare, it is something ancient and timeless, something wild and something free. And in exchange for the stories it tells Conor, it must extract a price that is the most dangerous thing of all... the truth. To celebrate the launch of their latest book for teen readers, Thin Ice by Mikael Engstrom (an incredible read, by the way), the good people at Little Island have put together a wonderful competition that will give one lucky winner €100 worth of book tokens for themselves and €200 worth of book tokens for their school's library. Fantastic! There will also be prizes of Little Island goodie bags for ten runners-up. Mariella on The Book Show had a very nice chat with the fanstastic Eoin Colfer about the latest and penultimate Artemis Fowl installment... Artemis Fowl and the Atlantis Complex... in which Artemis develops a unique problem that renders him completely useless when the sunterreaen city of Atlantis comes under attack from vicious robots... he has become nice. (I have to admit, this one was my favourite!) Our favourite hero, Artemis Fowl has been rocking through seven books, now, and Eoin Colfer has stated that the next (eighth) adventure will be his last. Broadcast on Thursday at 7pm on Sky Arts 1 HD, Eoin explains why Artemis Fowl has had such strong appeal among young teenage boys. 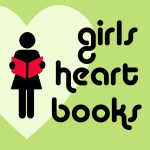 Girls Heart Books: New Blog Launched! There's a new blog that's just been launched for readers of popular girls fiction. Aimed at girls aged 8 to 14 years, Girls Heart Books was launched on May 1st and promises one new blog entry every day from one of 31 published popular authors. Topics will range from writing tips to favourite films, and much, much more. 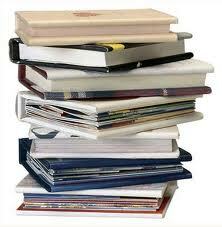 There will also be competitions, quizzes and regular book give aways. I'm sure you're favourite author(s) are there. I know I've said this before, but I did want to remind everyone..... 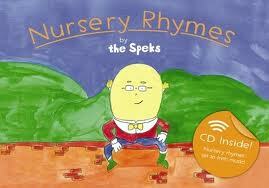 The Speks are coming to Dubray Books in Galway (4 Shop Street) on Saturday, 14th May at 3.00pm. They'll be bringing their own brand of nursery rhymes set to traditional Irish music. Fabulous. Anyone in the area should plan on dropping by. And if you've no plans for the day... come on! Bring the kids and get ready for a rollicking afternoon's entertainment.